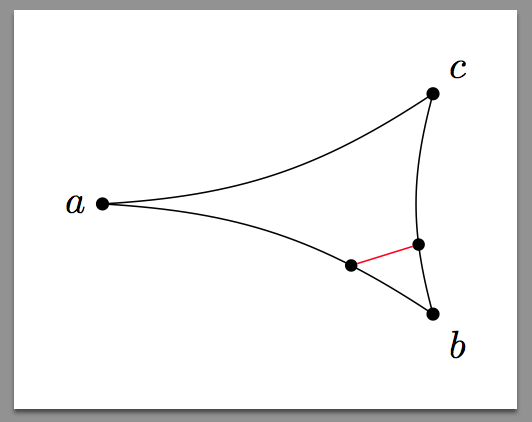 PSTricks: How to connect inside arrow heads on two different bezier curves? Now, I can't find a smart way (not using trial-and-error guessing coordinates) to connect the (unnamed) bullets on the bezier curves specified through ArrowInside and ArrowInsidePos through a straight line. 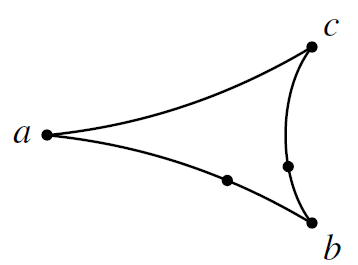 Alternatively, it would be sufficient for me to connect the intersections of a straight line with those two bezier curves. But again: I can't think of a smart way doing this using PStricks even after browsing through the comprehensive User's Guide by Timothy Van Zandt. Any suggestions how to solve that problem? Note, that the positions of \psbeziernode and ArrowInsidePos do not fully coincide for the same values. 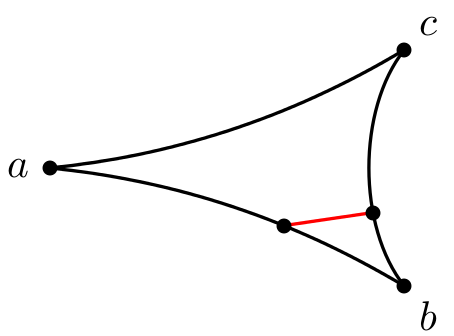 The ArrowInside arrows are shifted a bit, which can be seen, when comparing the original nodes to ArrowInsidePos=0 and ArrowInsidePos=1. Not the answer you're looking for? Browse other questions tagged pstricks pst-node pstricks-add or ask your own question. How to plot a family of curves using PSTricks? How to draw smooth curves with PSTricks? How to adjust the arrow head tip of a bezier curve? PSTricks-NODES. How can I put 'Ñ' inside a circleNODE? How do I cross-reference from inside a PSTricks figure? How do I send option to pstricks when it's loaded inside a pst-all \RequirePackage? How to define a mathematical equation in two parameters in PSTricks? How to rescale a pstricks object inside a pspicture?